Watch the brand new video for 'The Recruiting Sergeant' from Static On The Airwaves. 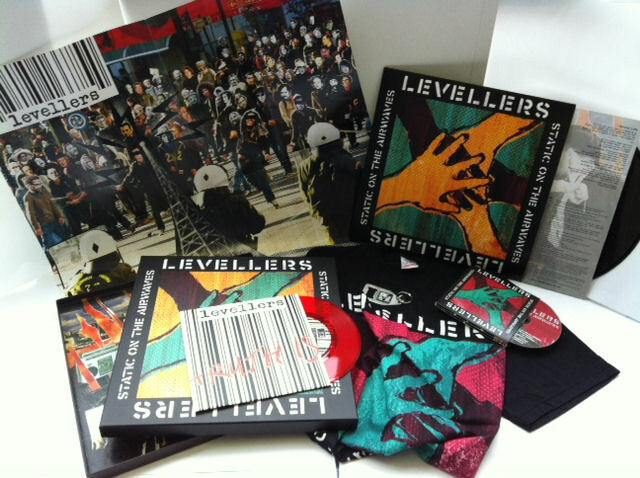 The Levellers release their new EP The Recruiting Sergeant in support of War Child on 5th May. Four of the band's most poignant anti-war songs are featured including a re-recorded version of The Recruiting Sergeant with special guests The Copper Family, Dan Walsh and Shona Kipling helping out. 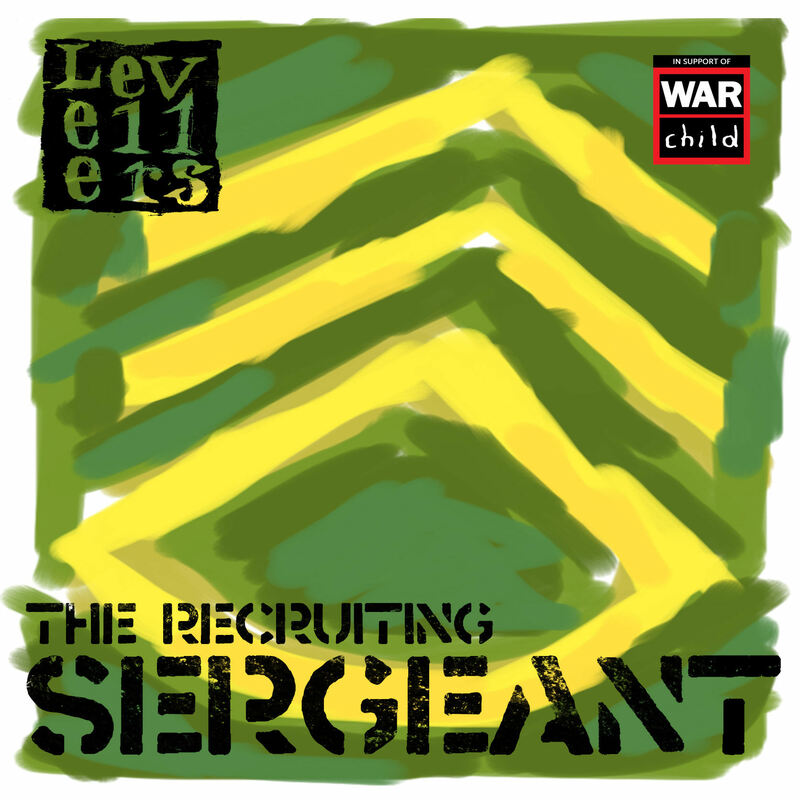 Another Man's Cause, Not In My Name and Barrel of the Gun complement this release along with the original version of The Recruiting Sergeant from the new album Static On The Airwaves'. All profits go to War Child - the charity that helps children wherever war affects them. Pre-order now from iTunes. The band are back on the road in less than 3 weeks for gigs and festivals in Europe and around the UK . We have got various special guests with us at shows including Moulettes, Gaz Brookfield and Jim Lockey & The Solemn Sun. Here is where the band will be in May... hope to see you at one of the shows. The band are playing a number of festivals and shows in the UK and Europe in June, July and August – see the website for full listings. NEW SHOWS recently announced include Kieler Woche on 26 June in Germany, Under the Big Top in Sheffield on 12 July, Brighton’s stunning St Bartholomew’s Church on 19 July for their first hometown show in years and Portsmouth Wedgewood Rooms on Sunday 04 August. 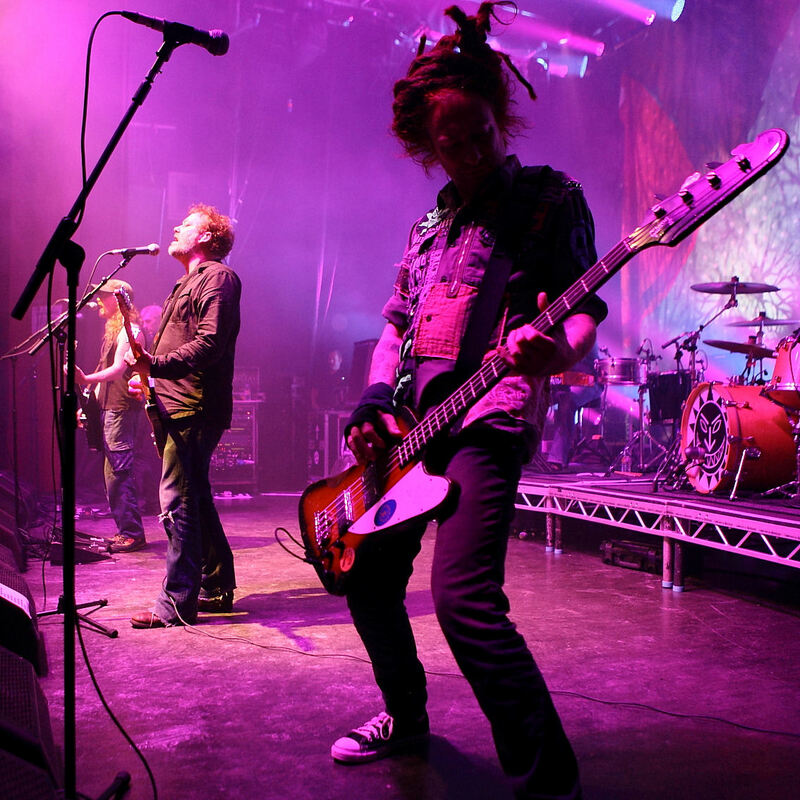 Influential Scottish rock band Primal Scream, Britpop veterans Ocean Colour Scene and festival founders Levellers will headline the main stage at Beautiful Days 2013. They will be joined on the main stage bill by Irish singer-songwriter Sinead O’Connor, hip hop legends Arrested Development, Irish rockabilly revivalist Imelda May, English rock band Steve Harley & Cockney Rebel, festival favourites The Wonder Stuff, French ska and reggae ensemble Babylon Circus, Jamaican ska legends The Skatalites, 2 Tone ska band The Selecter, gypsy/dubstep/swing group Molotov Jukebox, plus alt rock 5 piece Brother & Bones and French ska outfit Skamanians. Headliners in The Big Top include legendary English folk/rock singer, songwriter and guitarist Roy Harper and Irish folk legends Clannad who are joined on the bill by traditional folk music duo Spiers & Boden, acoustic trio of sisters The Staves, 11 piece Scottish folk super group Treacherous Orchestra, Irish singer-songwriter Damien Dempsey, solo singer-songwriter Viv Albertine formerly of The Slits, Irish folk musician and accordion player Sharon Shannon, festival stalwarts Headmix Collective and jazz-folk group Sheelanagig. Also playing in The Big Top are acoustic singer-songwriter Gaz Brookfield, German folk rock band The Emily Brothers, award-winning stomp band from Orkney The Chair, Irish folk singer Heidi Talbot, alt-folk band Moulettes, Sam Lee and the unique ensemble that are The Fabulous Good Time Party Boys. The first acts announced for The Little Big Top are Andy C and Banco De Gaia. We're very excited to be making this announcement and are busy working on line-ups for the rest of the stages and plans for 2013 - the 11th Beautiful Days festival! Hope to see you there. Tickets are on sale now and all prices have been held from last year. Adult Weekend Camping Tickets are £120, 10 to Under 16’s Weekend Camping Tickets £60, 5 to Under 10’s Weekend Camping Tickets £30, Under 5’s Weekend Camping Tickets £5, Car routing/parking tickets £15 and Camper-van tickets £40. All tickets are subject to booking fee. There are no day tickets available. Weekend Camping Tickets allow access from Thursday at 2pm and allow the holder to camp on Thursday, Friday, Saturday and Sunday night. Please do not buy tickets from unofficial outlets and read the Terms & Conditions of Sale on the festival website before purchasing. 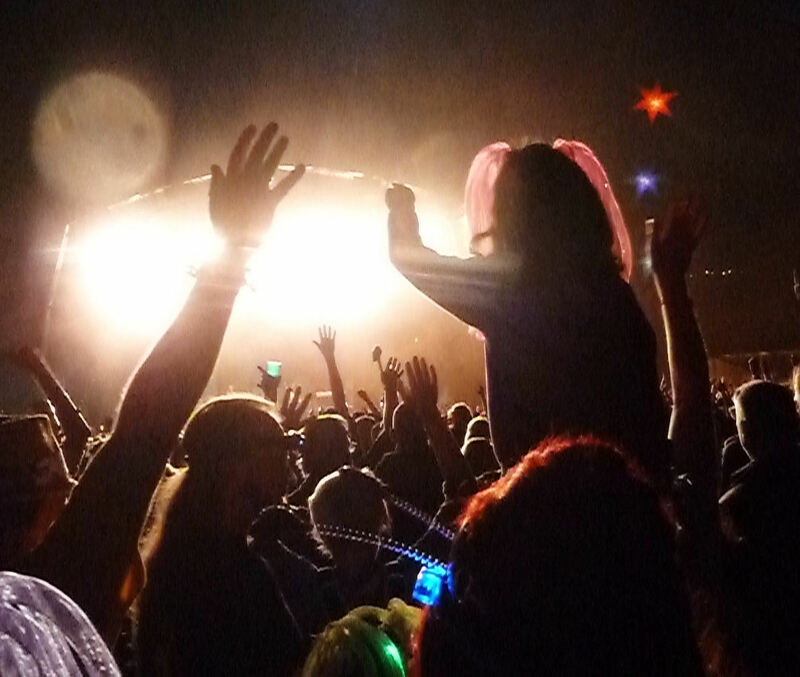 Beautiful Days is a family music festival which takes place at Escot Park in Devon with six stages, site art, a huge children’s area in the centre of the festival, comedy, theatre, family camping, licensed real ale bars from Otter Brewery & carefully selected food and craft stalls. The festival has no corporate sponsorship or branding and does not advertise. All festival information can be found on the website. If you have any queries then please don’t hesitate to get in touch. For general festival enquiries, feedback and comments please email [email protected]. We will reply to your query as soon as we can! Members can also get a discounted adult ticket for Beautiful Days 2014 (the discount time is over for this years festival).